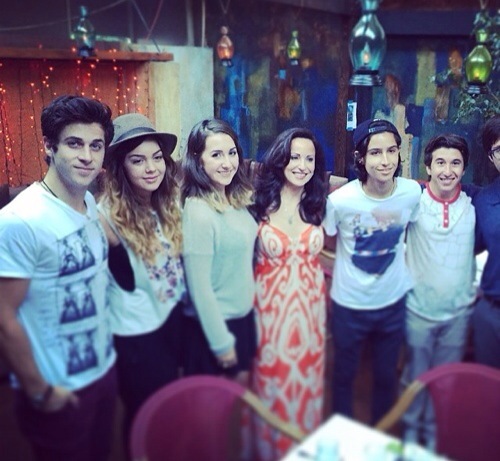 Happy Birthday To David Henrie’s Momma! Today June 2nd was David Henrie’s mother’s birthday! Check out the photo above of his family out celebrating together tonight! He posted the photo to instagram wishing his mom a happy birthday! Behind The Scenes Of Summer With Cimorelli: Meet The Mom — Watch Now! We are getting so many great behind the scenes features from Summer With Cimorelli, sponsored by Subway! First homeschooling, then the monkey business and now, we get to meet the lovely woman who raised these beautifully talented sisters, Lynne Cimorelli! Lynne sat down and gives the inside scoop on how her daughters began their music career! Check the interview in the BTS video below! There’s no better way to start the day than being in the great outdoors. Especially when you’re heading out on a nice morning hike. For Lea Michele, it was a “perfect way to start the day”. 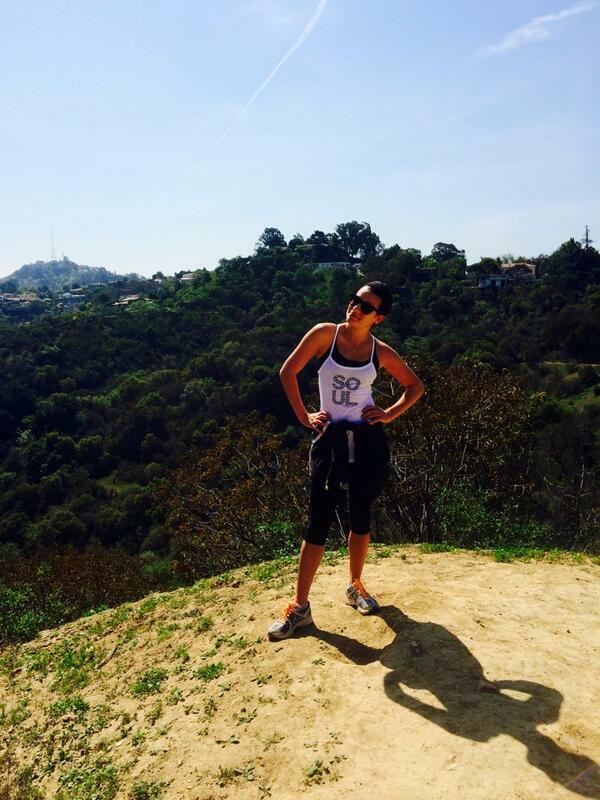 Lea looks so happy in this picture she tweeted, and it must be the fact she was able to spend some time with her mom while hiking. What a great way to stay fit! Do you enjoy a good hike every now and then? Hilary Duff + Son Luca Have A Beverly Hills Shopping Adventure — See The Cute Pics Here! After getting in her workout — both at the gym and hauling her groceries at Bristol Farms in West Hollywood — early on Thursday (February 20), Hilary Duff continued to tone her arms by carrying her cutest load yet: her nearly two year-old son Luca Comrie! Changed out of her workout duds into an olive green jacket, striped shirt, white jeans, and grey ankle boots, the mother-son duo looked great as they made their way to do some shopping in Beverly Hills, CA. We’re loving Luca’s navy Converse high tops and Hil’s “31 Rue Cambon” Chanel tote, too — fashionable while still being practical while traveling with her favorite dude! Ashley Tisdale Carries Her Niece While Shopping In WeHo — See All The Pics Of The Family Outing! Today was certainly a family affair for Ashley Tisdale! After grabbing lunch with her mom Lisa and niece — sister Jennifer’s 3 year-old daughter — Mikayla in West Hollywood, CA on Friday (January 17th), the trio had some fun shopping and, no doubt, celebrating the premiere of the TV movie Cloud 9 on the Disney Channel, which Ashley executive produced. Ashley was looking cool in plaid (with a surprise paisley print panel on the back), distressed denim cut-offs, Timberland boots, aviators, and a grey beanie, and kept the adorable Mikayla close around the cameras, who were undoubtedly eager to capture all they could of their shopping adventure.